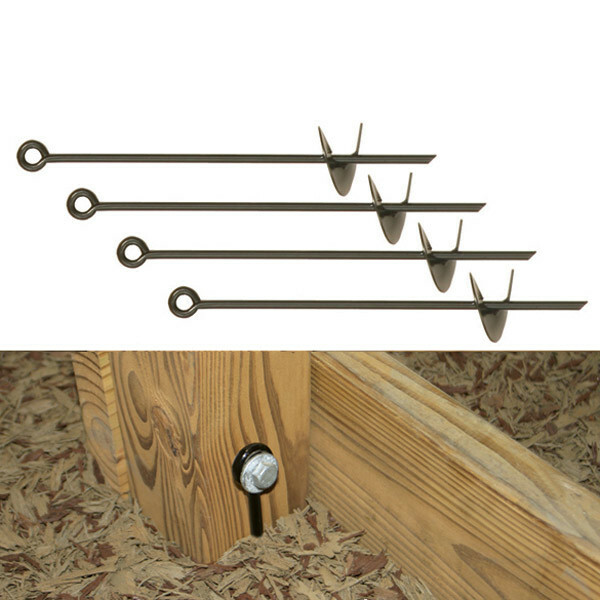 Your Playstar playset is built to be sturdy and safe but why not add more safety by making sure it's also held tightly to the ground. Constant use and play can cause wooden playsets to shift, especially when built on softer ground. 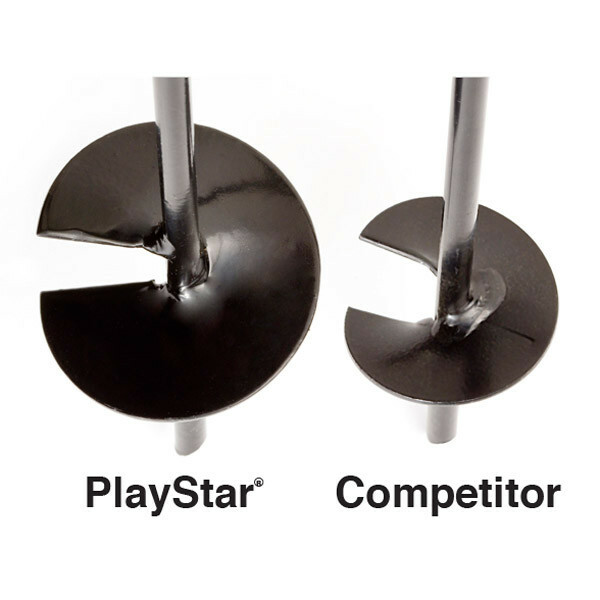 That is why Playstar offers these Anchors as way to hold your swing set or its accessories more firmly in place. 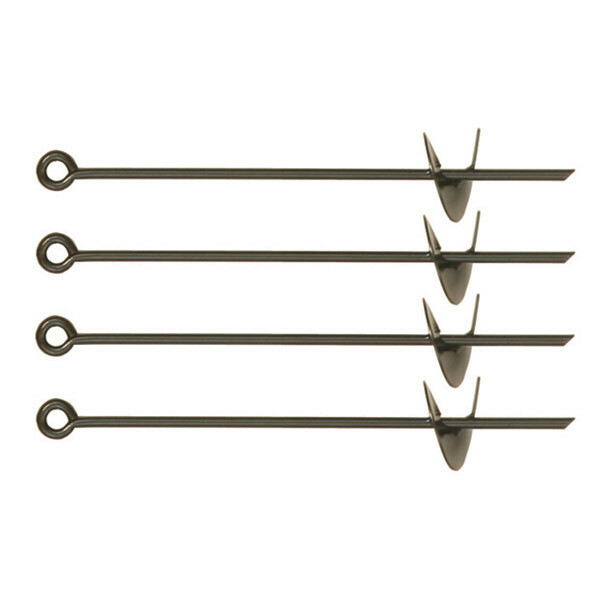 Their Anchors feature extra wide Augers for 30% more holding power. 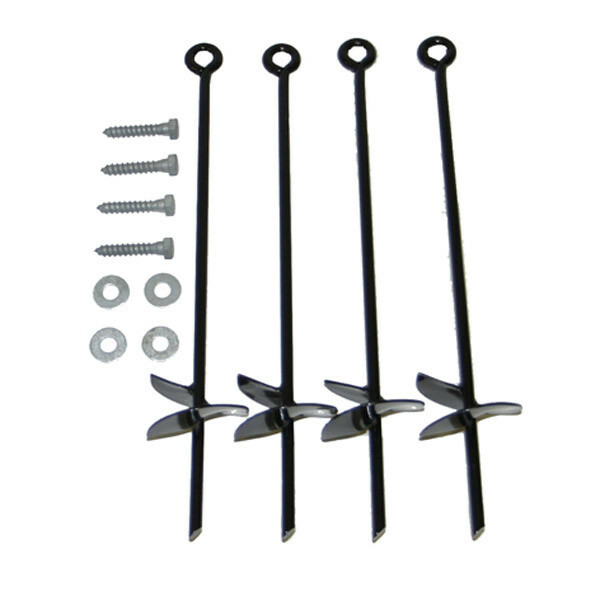 You'll get all of the hardware needed as well including hot dipped galvanized lag screws and washers for securing the playset itself or hot dipped galvanized blots, nuts and washers for securing slides and climbers.